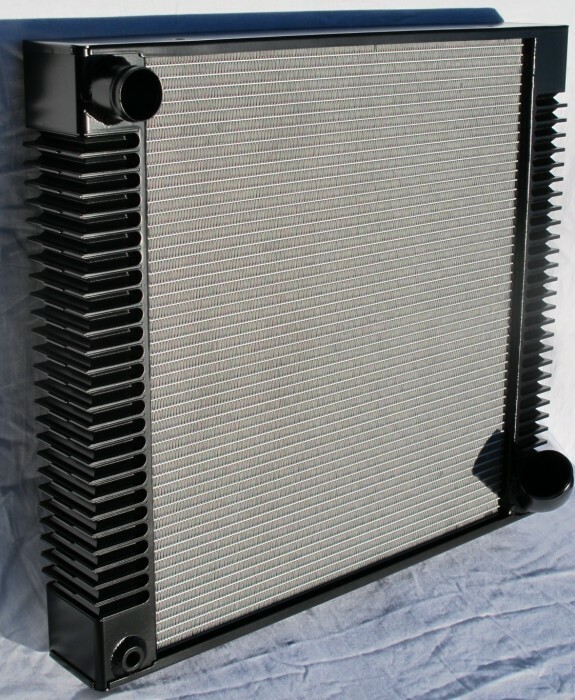 After extensive research and meticulous attention to detail we have created the most authentic replica Marston style radiator for the 3.8 E-Type Jaguar. 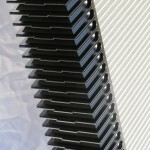 These radiators were fitted to 3.8 E-Types (including the flat floor cars) and the lightweight racing cars and original units are now unobtainable. 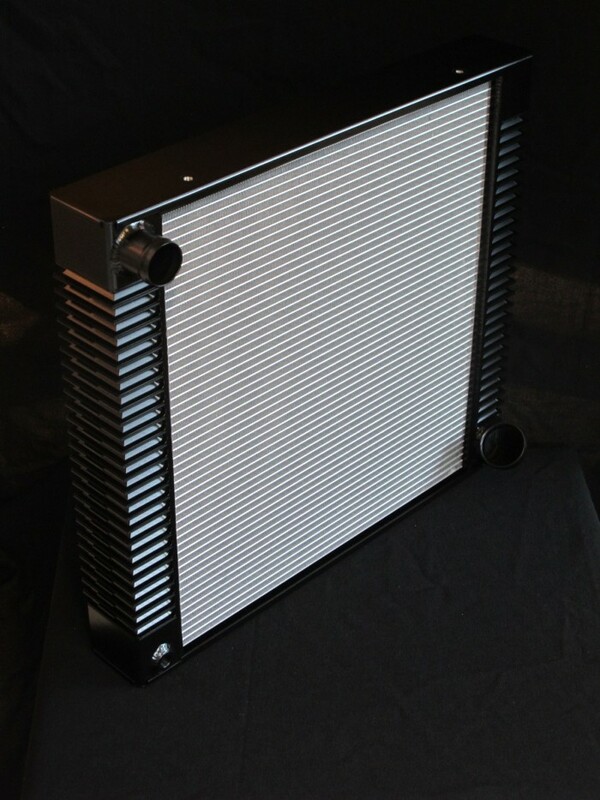 We have combined a 60mm version of the same high performance core that we use in our other E-Type radiators with header tanks machined from solid billet aluminium. 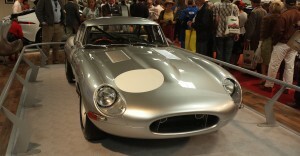 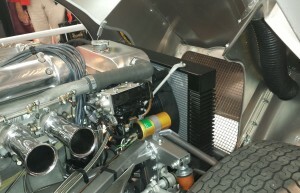 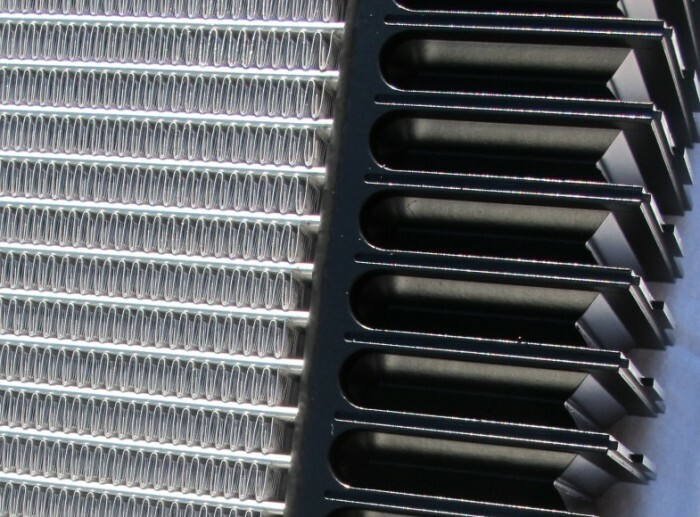 The end result is a replica 3.8 E-Type radiator which is virtually indistinguishable form the original once it is mounted in the car and the fan shroud is fitted. 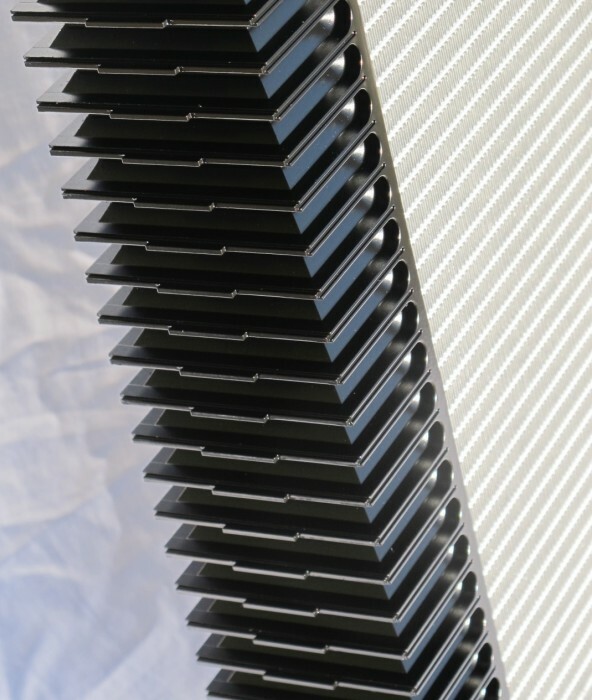 We have gone to great lengths to ensure our fin profile is accurate and includes details such as the extended tabs which run down the center line of the end tanks. 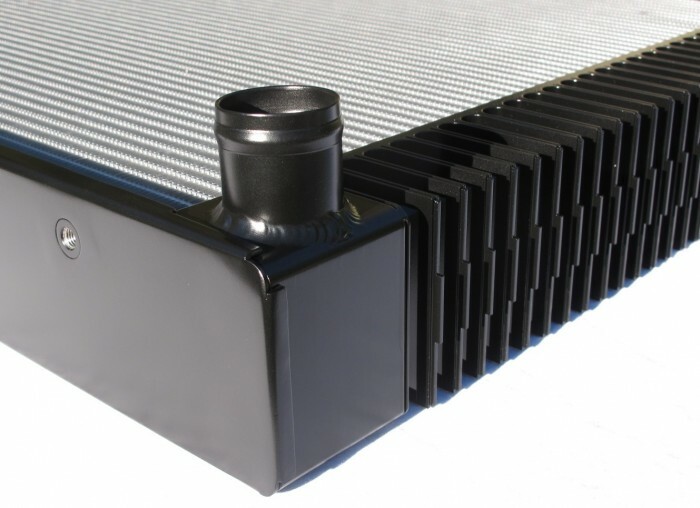 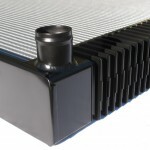 Our top and bottom mounting plates fold around the tanks in the same way as the original and the overall radiator is dimensionally identical to the genuine unit. 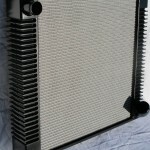 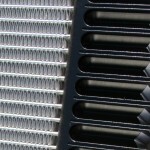 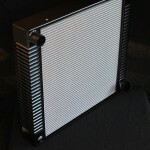 We believe this is the most accurate and faithful replica of the early Marston radiator fitted to 3.8 E-Types are delighted to find that Jaguar agrees…… Our Marston replica radiator has been selected by them for use in Car Zero and the remaining 6 lightweight E-Types to be built by Jaguar Heritage.